Entering Bridgeport off of Connecticut Route 8. Mayoral candidate Mary Jane Foster, center, with incumbent Mayor Bill Finch and former mayor Joe Ganim at a debate at Housatonic Community College in Bridgeport. Bridgeport Mayor Bill Finch at a mayoral debate at Housatonic Community College. Bridgeport's political history reads like a bio of its most famous resident, circus man P.T. Barnum. As you drive down Route 95 toward Connecticut’s Gold Coast and pass through Bridgeport, the view from the highway is not so good. Once a thriving factory town, the state’s largest city looks now like a postcard of urban decay. But Mayor Bill Finch says Bridgeport’s mood is optimistic. "All of the garbage that you see, those empty and abandoned buildings all of those have been bought," Finch said on WNPR's Colin McEnroe Show. "Its gotten better in the last eight years and with four more years it's going to get better". Finch says he wants another term as mayor to move forward economic development projects long sidelined by scandals and corruption. In fact, Bridgeport's political history reads like a bio of its most famous resident, circus man P.T. Barnum. There was mayor John Fabrizi who admitted he used cocaine while in office. And he’d taken over from the charismatic Joe Ganim who ran Bridgeport for eleven years until he was convicted of steering city contracts in exchange for hundreds of thousands of dollars in wine, clothes, cash, and home improvements. Ganim spent seven years in prison. Now he’s back, and says this time around he's committed to transparency in City Hall. Joe Ganim at a mayoral debate in Bridgeport. Businesswoman Mary-Jane Foster is the third candidate in the race. She’s best known as co-founder of the minor league baseball team the Bridgeport Bluefish. “It’s time for a change. I frankly think it’s time for a woman to run this city,” says Foster . Lennie Grimaldi has worked for all three candidates. He was a consultant for Foster, and as a political strategist, ran races for both Finch and Ganim. "This race really shouldn’t be close." Lennie Grimaldi at his home in Redding, Connecticut. "There are people from outside of Bridgeport who look at this race and go, why is it close?" Grimaldi said. Now Grimaldi runs the respected online news site called Only In Bridgeport. “From every measure of progress that you can examine, this race really shouldn’t be close, but when you scratch the surface of that progress, you have all these underlying issues that come cascading out,” says Grimaldi. Issues like public safety. Overall crime in Bridgeport is down, but lately, there’s been a surge in violent crime. 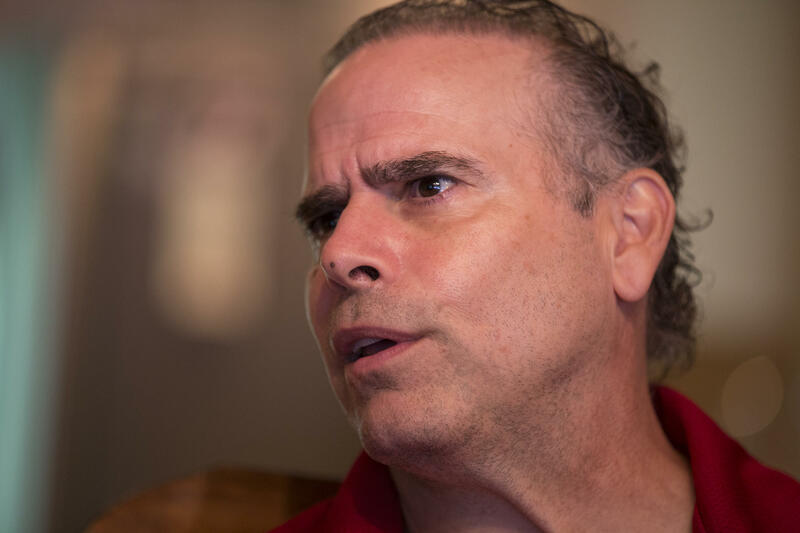 Ganim’s promise to increase police staffing levels helped earn the former felon the endorsement of the city’s police union. And Grimaldi points to an unlikely Ganim supporter. “The FBI agent that investigated Joe Ganim is supporting him. People question how could he endorse the guy he locked up? Well he’s out there saying he believes in second chances,” Grimaldi explains. And that’s a message people in Bridgeport connect with. 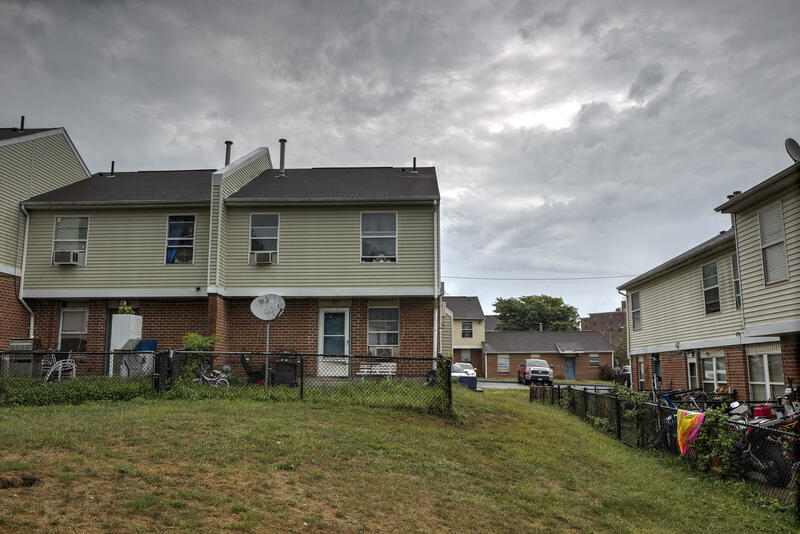 The Trumbull Gardens housing project in Bridgeport, plagued by violence in recent months. Resident Cal Luongo, out for a jog in Seaside Park, says he still does. “You know, I know there’s a lot of talk about Ganim, however when he was mayor before the corruption, I think he did a fine job for Bridgeport. And I strongly believe that everybody needs a second chance,” Luongo said. There have been no real polls on the mayoral race, but the Democratic primary has broken spending records. Bridgeport is a heavily Democratic city, and the winner typically goes on to become the city’s next mayor. 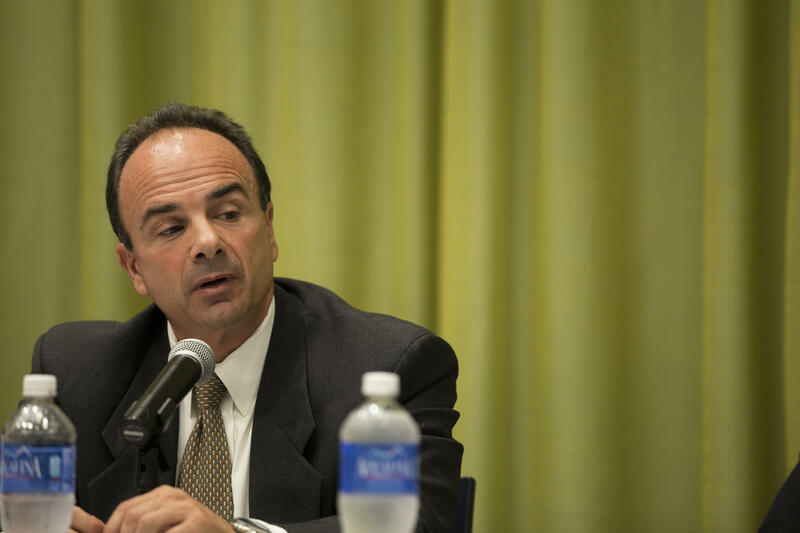 Is Bridgeport Ready for Joe Ganim's Return? No one can argue the charisma of former Bridgeport mayor Joe Ganim. He served five terms as a beloved leader in a city long plagued by crime, poverty, and corruption, much of the corruption under the Ganim administration. Colin spent the last few weeks speaking with each of the Bridgeport mayoral candidates likely to qualify for the September 16 primary. First, Joe Ganim. Last week, Mary Jane Foster. Today, we talk to incumbent Bill Finch. Will Mary-Jane Foster Be Bridgeport's Next Mayor? Candidate Mary-Jane Foster is hoping to qualify for the Bridgeport mayoral primary on September 16. She thinks she's got a pretty good chance. Foster is in a tight race with both incumbent Bill Finch and challenger Joe Ganim, the popular former mayor who spent seven years in prison for crimes he committed while in office. Despite an uptick in shootings in Bridgeport, Mayor Bill Finch is defending his city's public safety record.